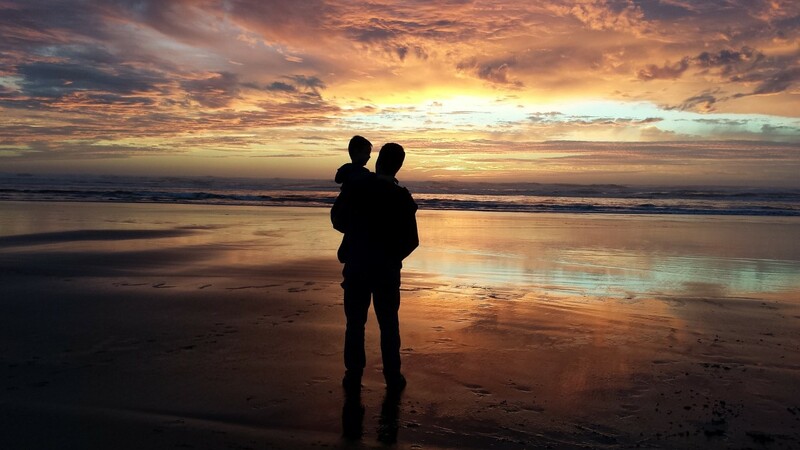 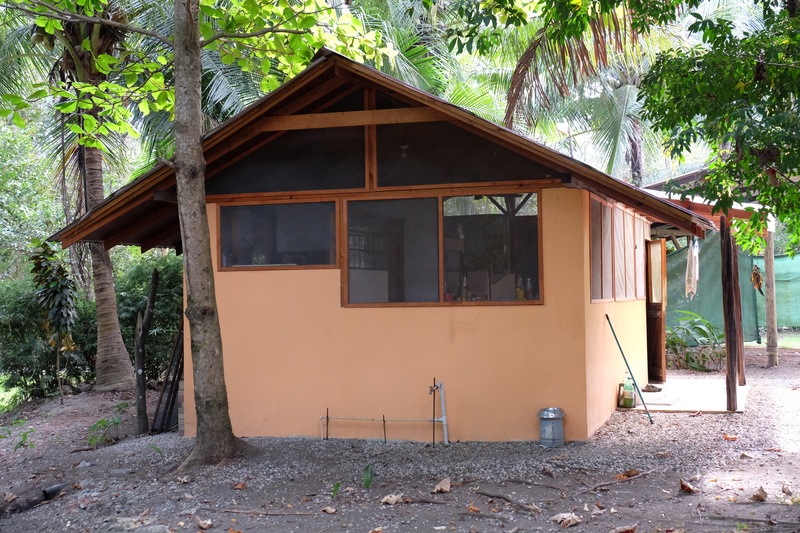 1 ACRE – 1 Bedroom Home Plus Guest Cabin On Titled Land Walking Distance To Beach And Point Break Surf!! 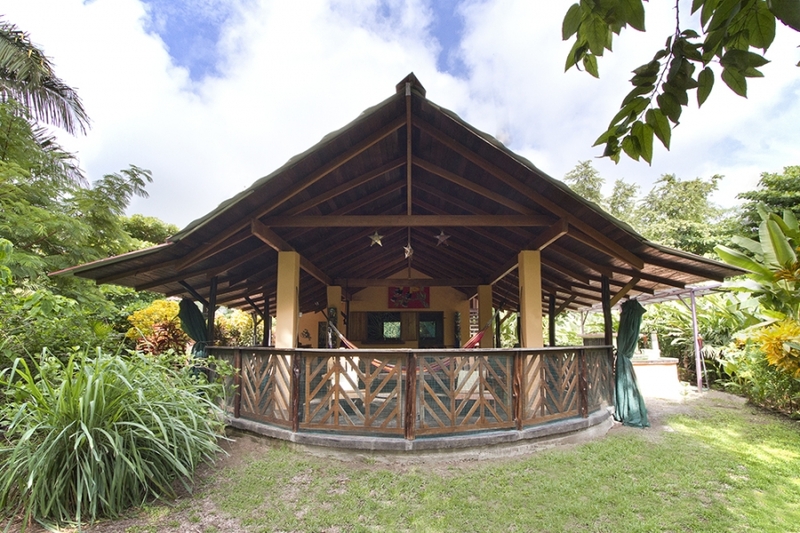 A Jewel on the Osa Nestled inside this private and secluded 1.25 acre property is a two-story 2,200 square foot house. 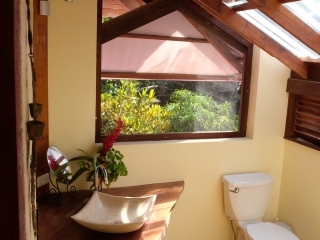 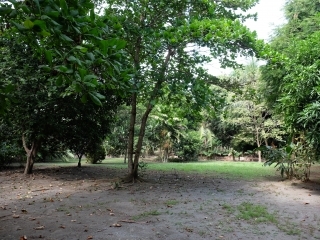 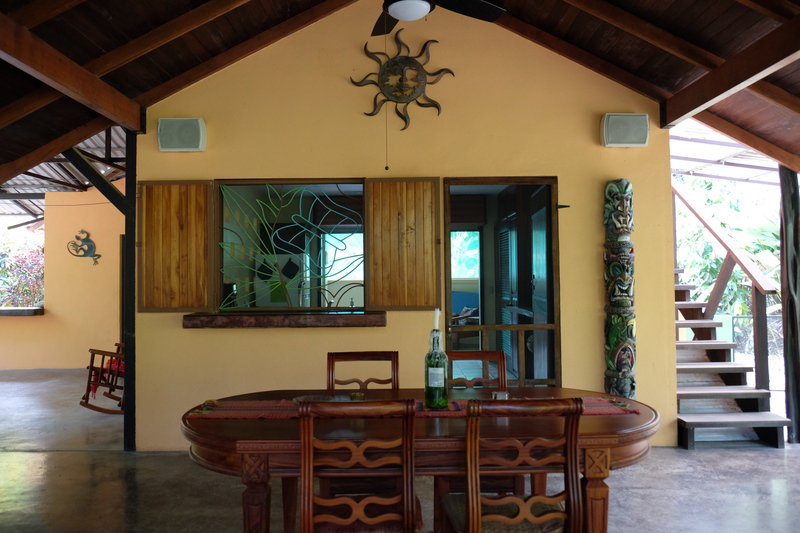 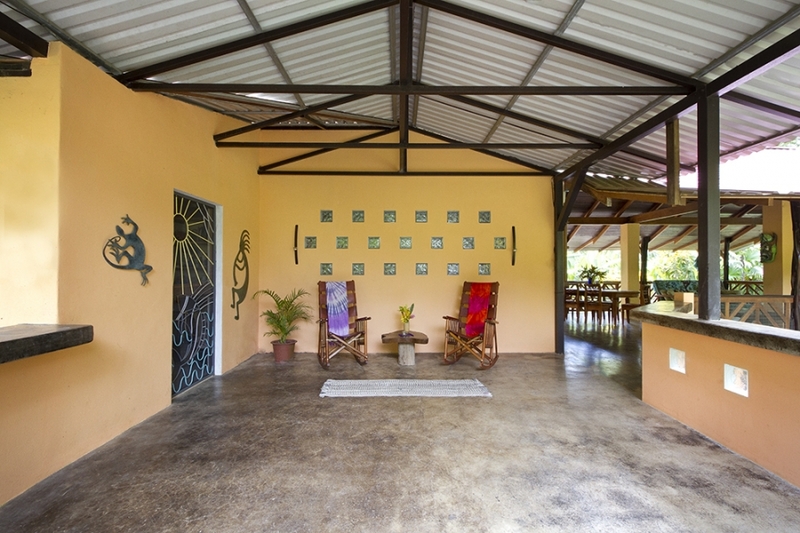 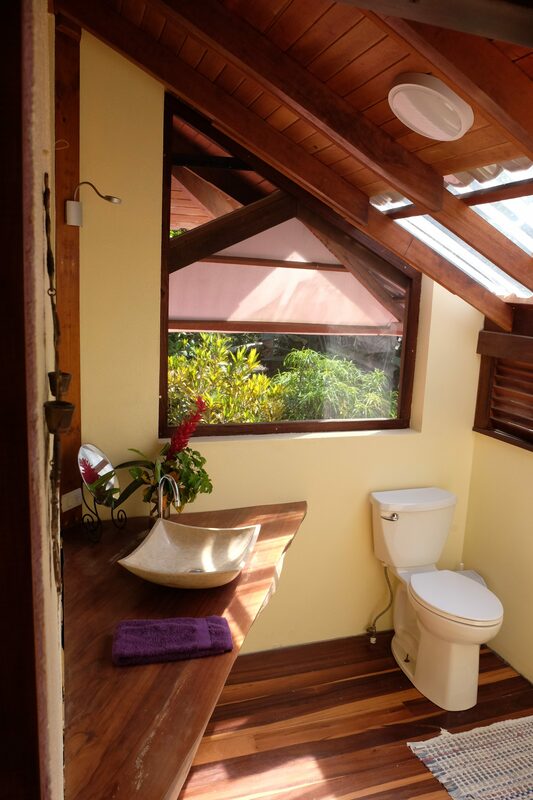 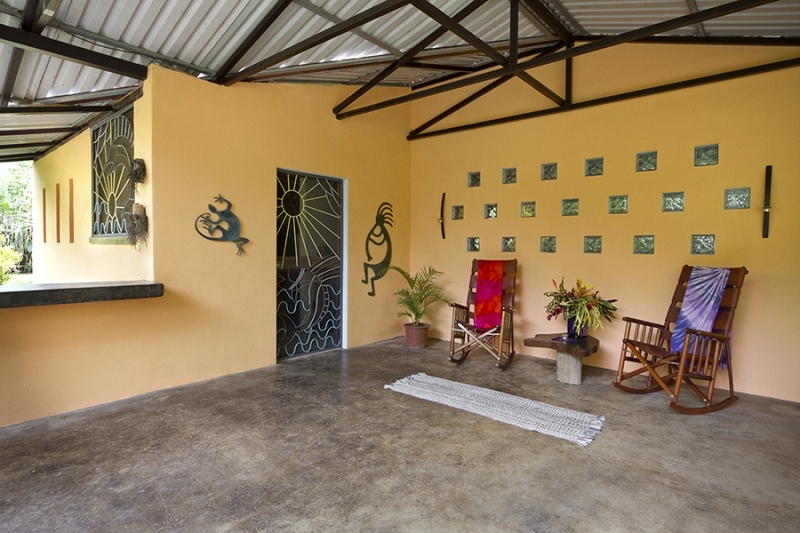 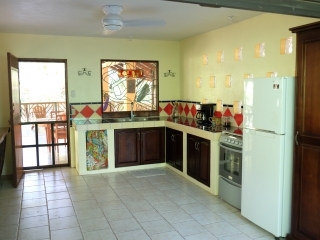 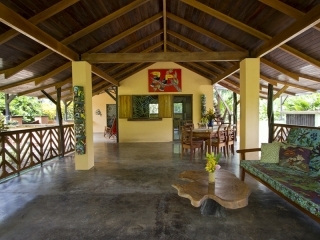 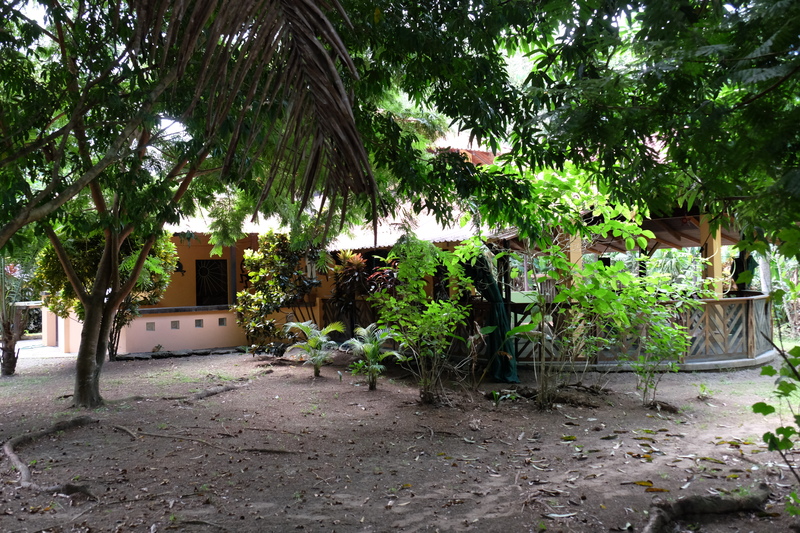 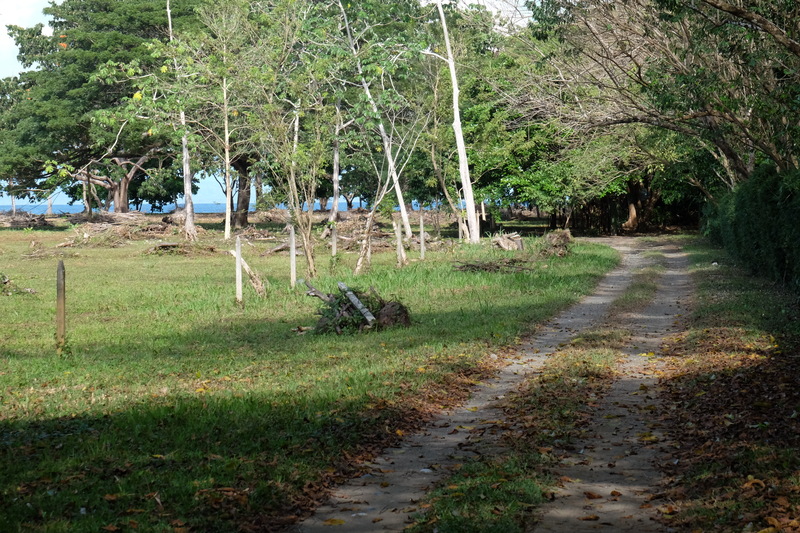 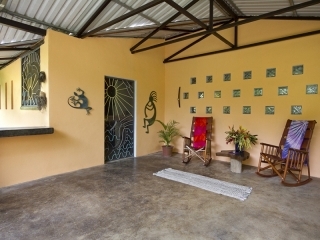 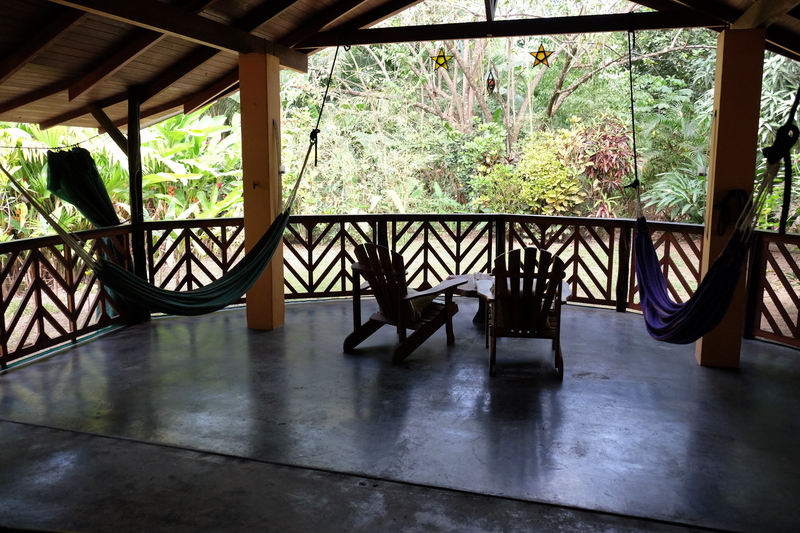 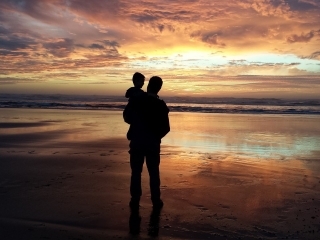 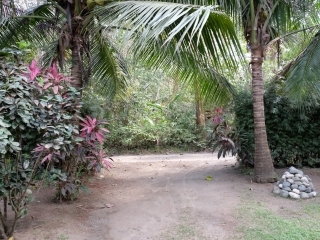 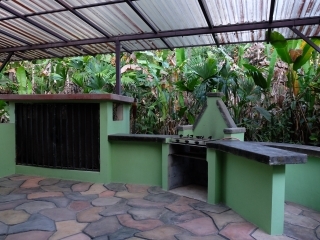 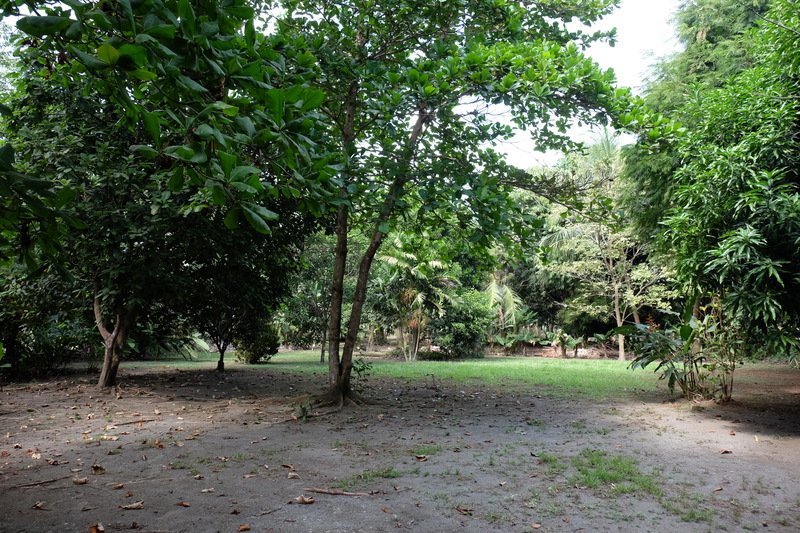 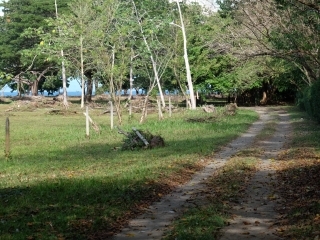 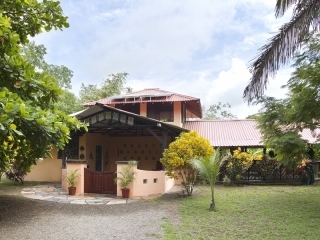 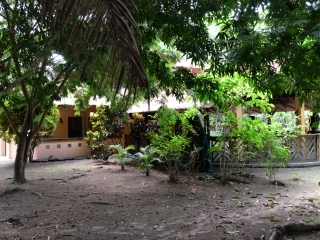 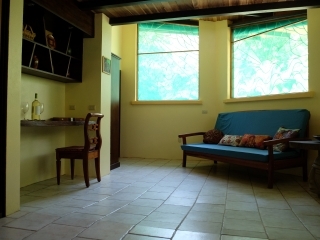 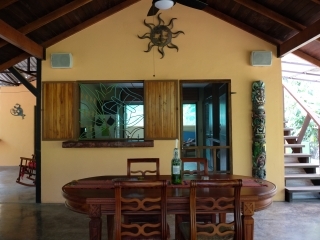 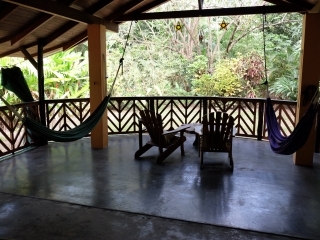 The property is located in the sought after community of Playa Sombrero on the southeastern tip of the Osa Peninsula. 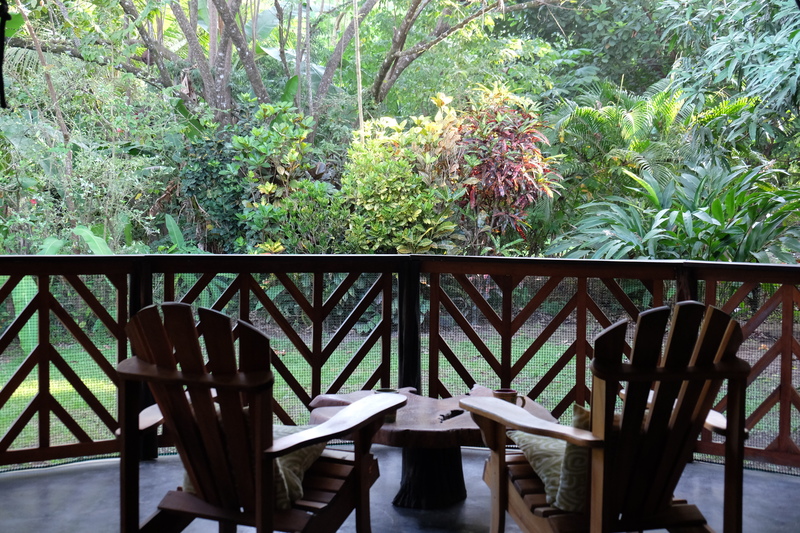 This open-air jungle retreat is built with a mixture of cement, block, steel and tropical hardwoods for lasting beauty and security. 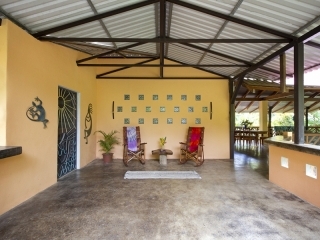 The property is powered by a recently expanded solar system that provides for comfortable living. 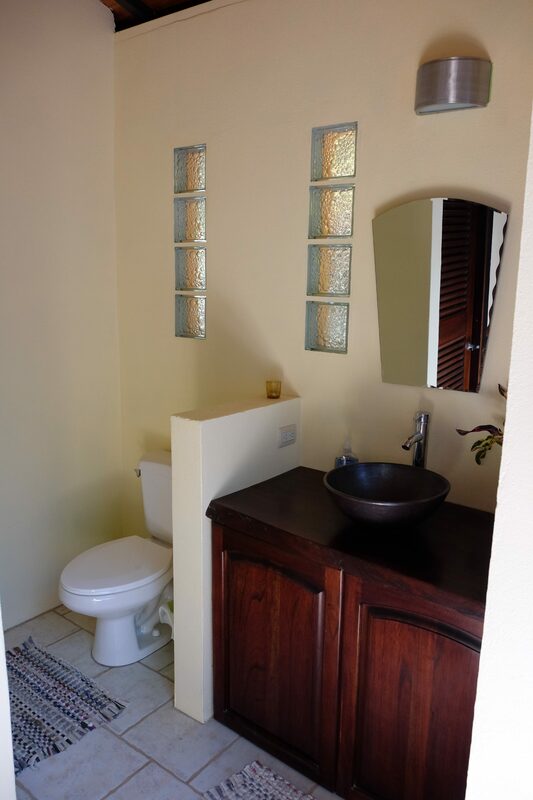 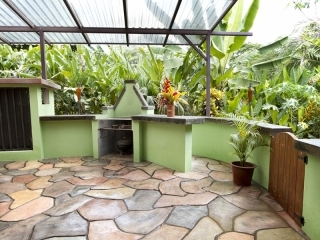 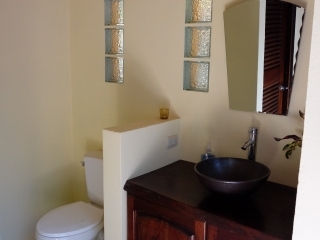 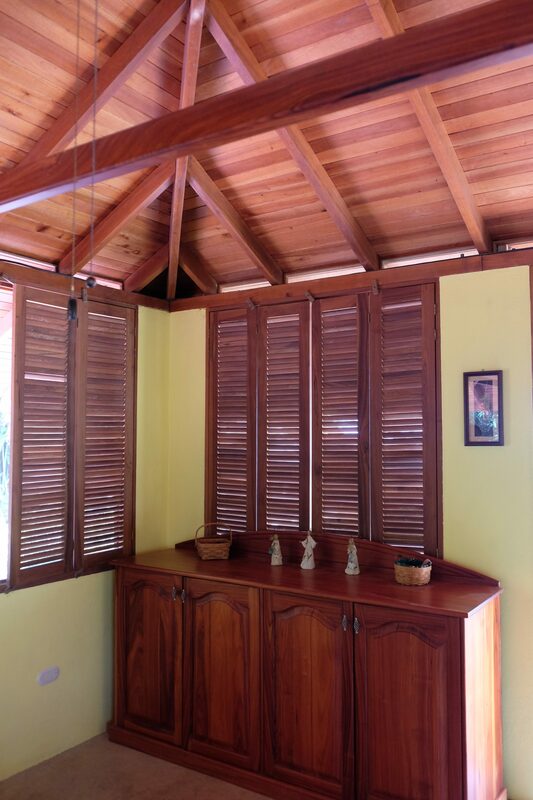 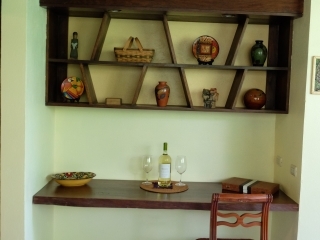 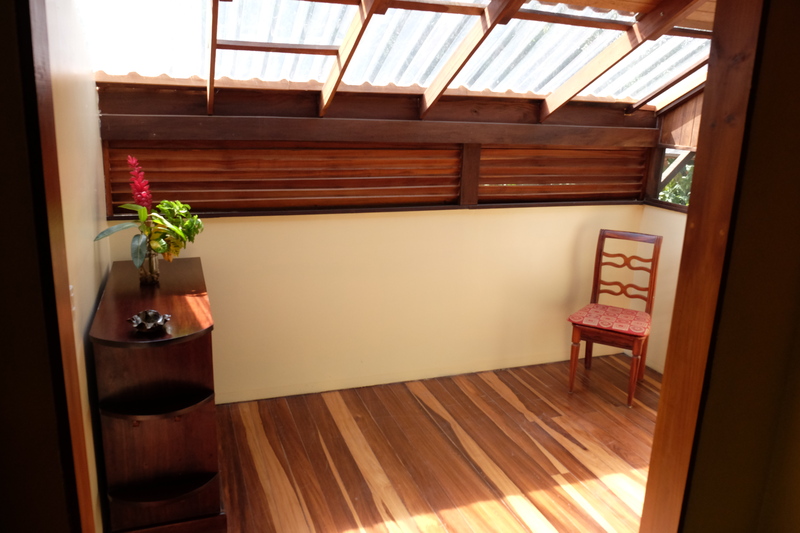 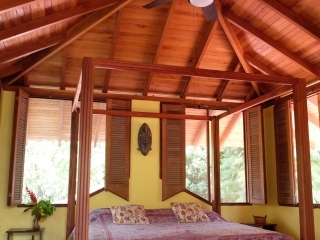 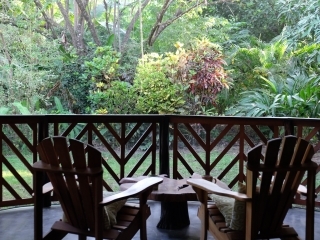 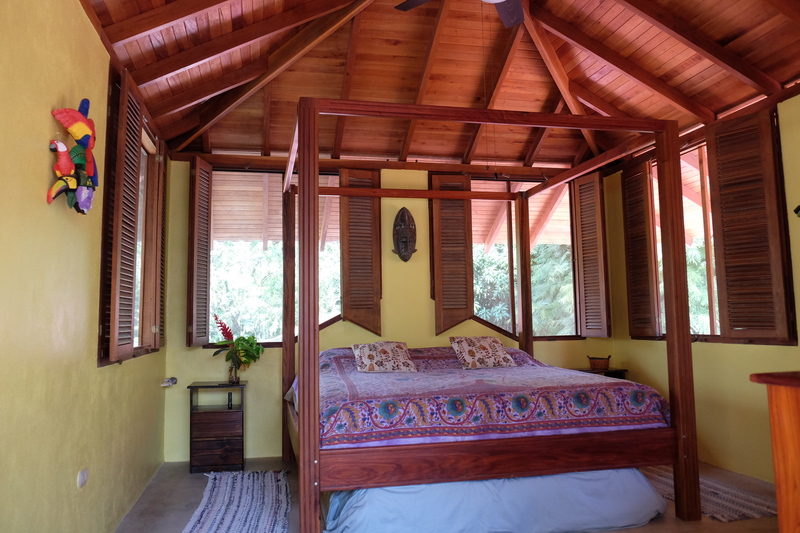 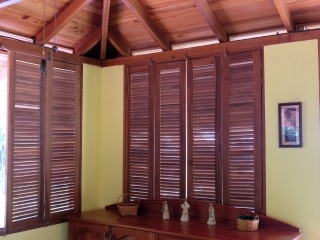 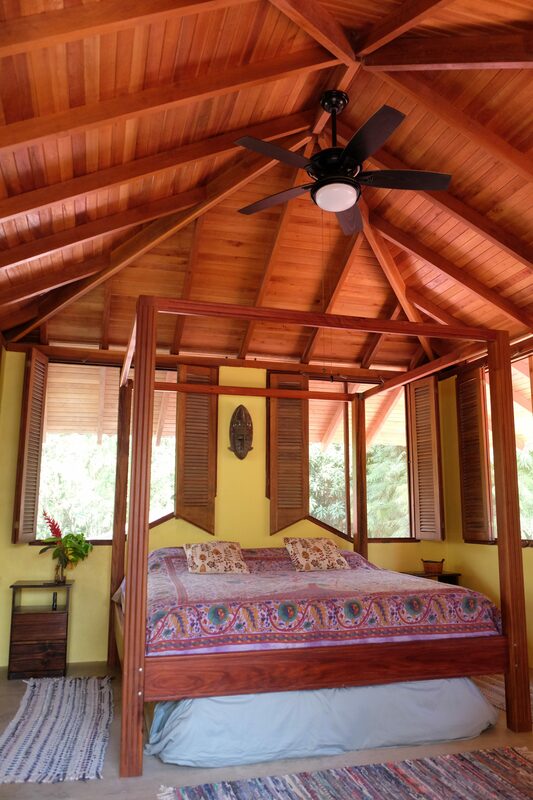 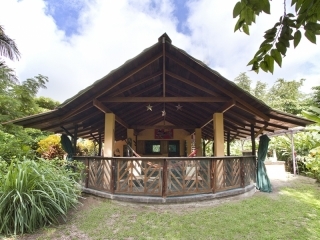 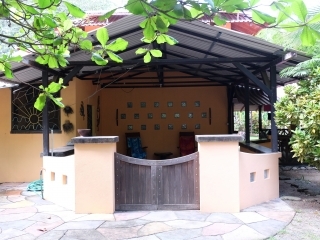 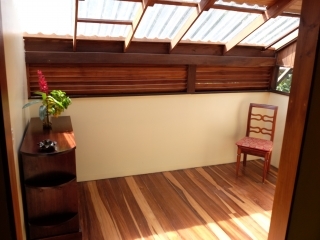 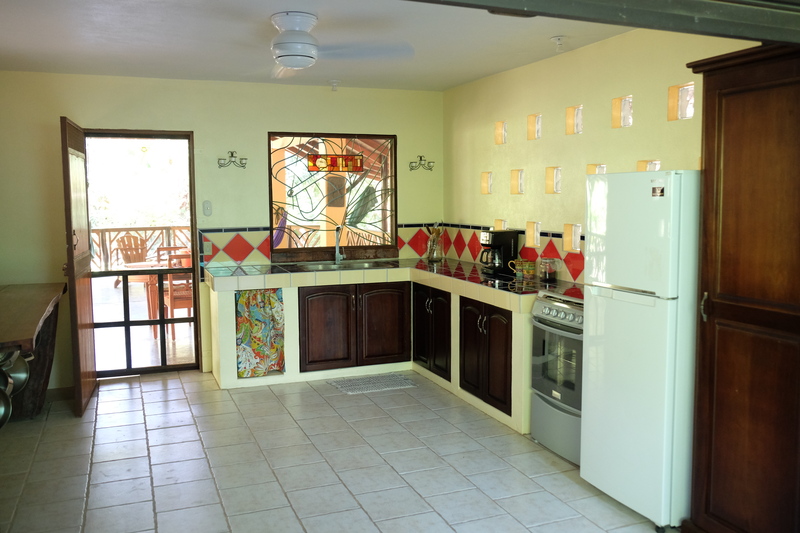 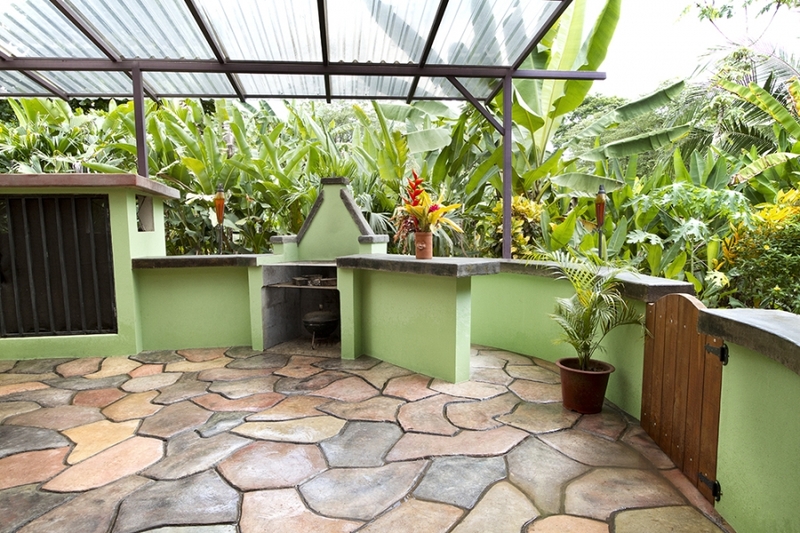 This turn-key offering is fully furnished with custom made tropical hardwood furniture. 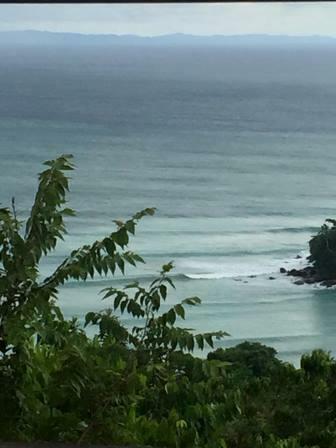 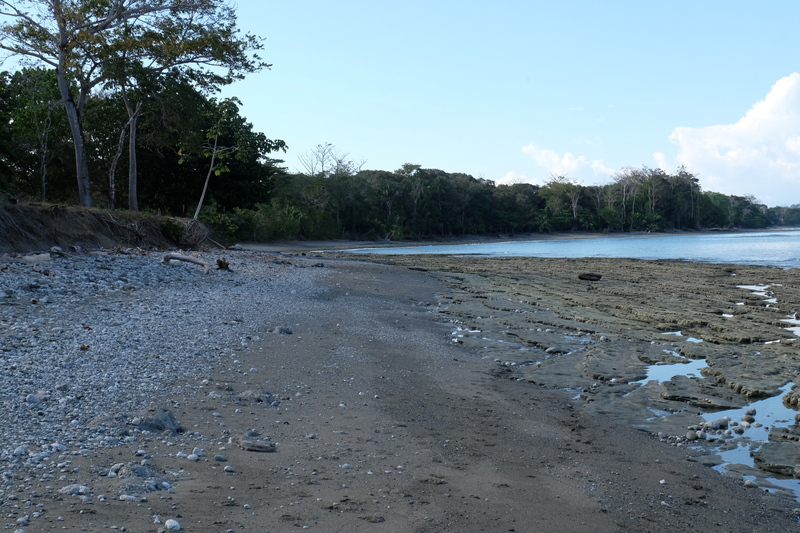 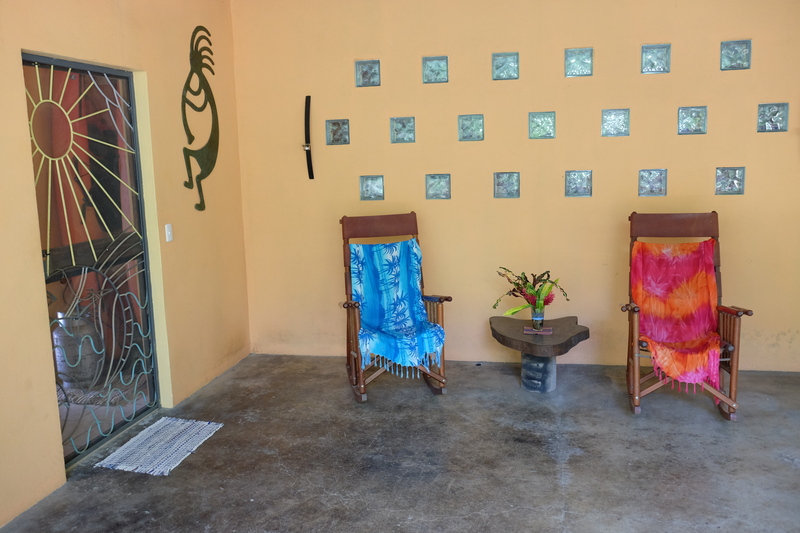 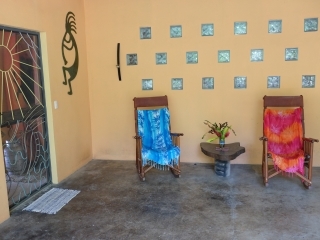 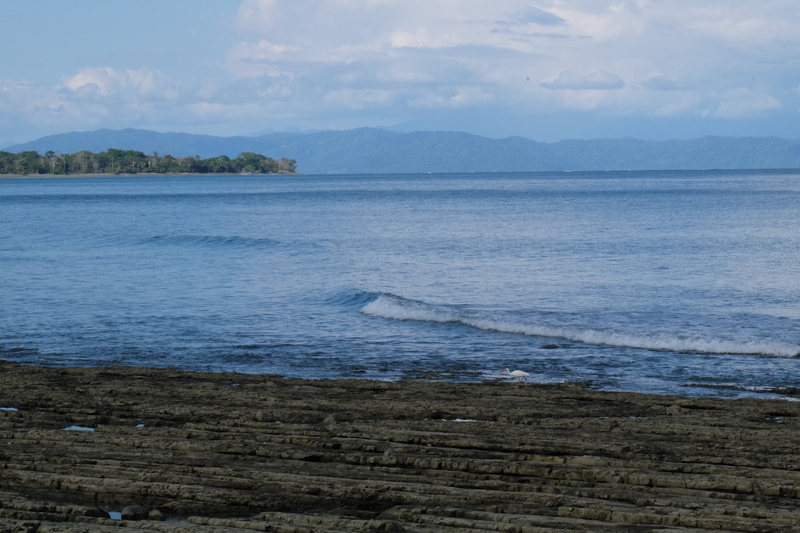 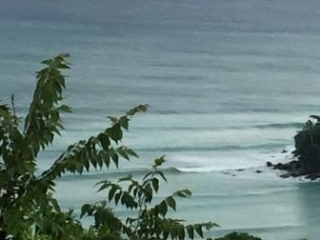 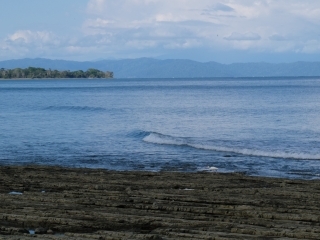 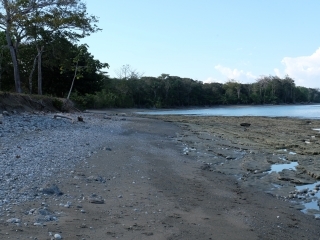 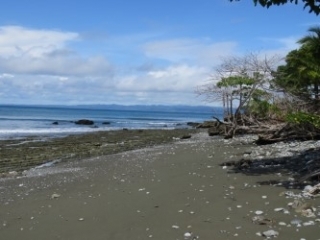 A leisurely five minute walk to the very secluded shore line of the Golfo Dulce, via a public right-of-way, provides opportunities for fishing, surfing, kayaking or just enjoying the beach. 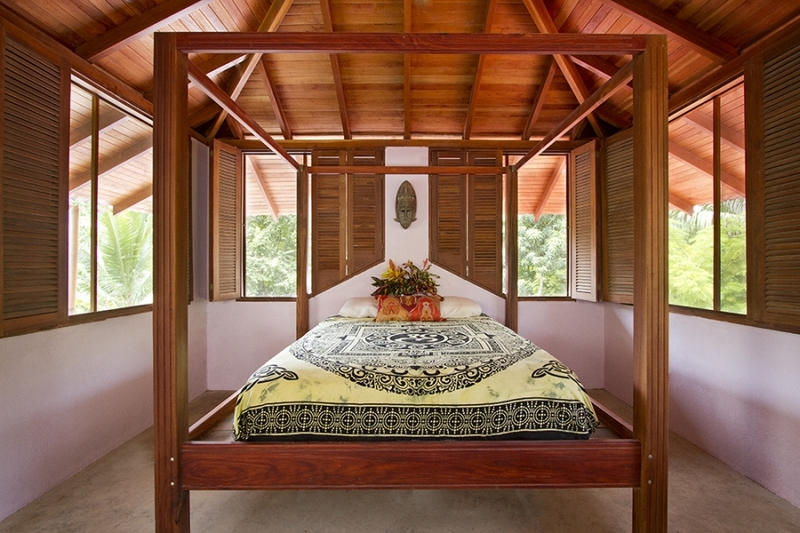 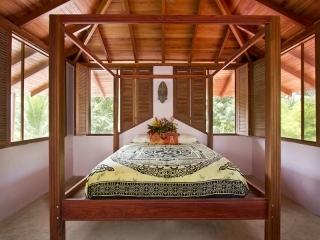 Fall asleep to the sounds of the surf and wake to the sounds of the jungle. 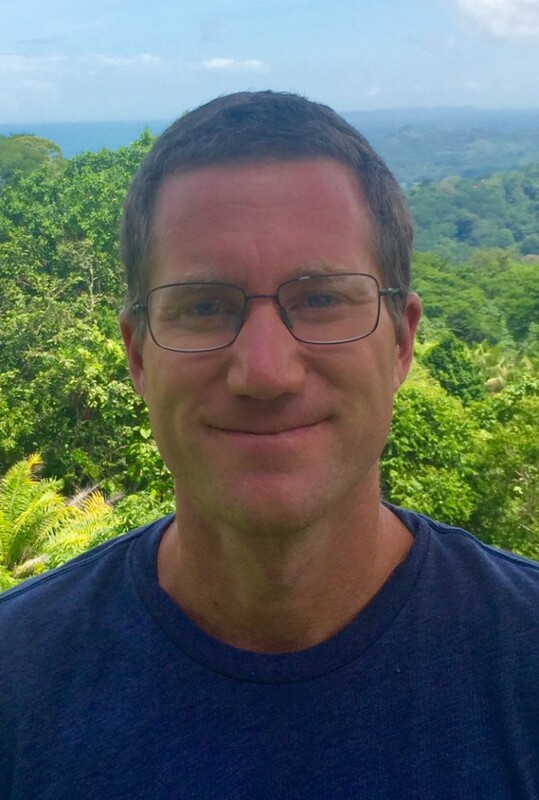 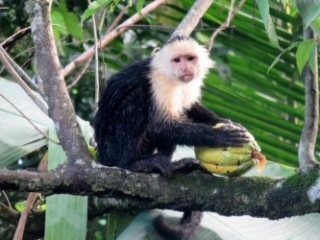 Wildlife that regularly visits the property includes a variety of monkeys, iguanas, and tropical birds. 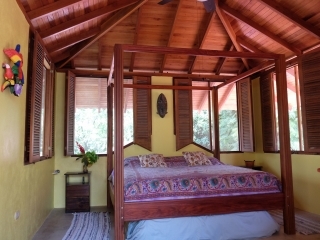 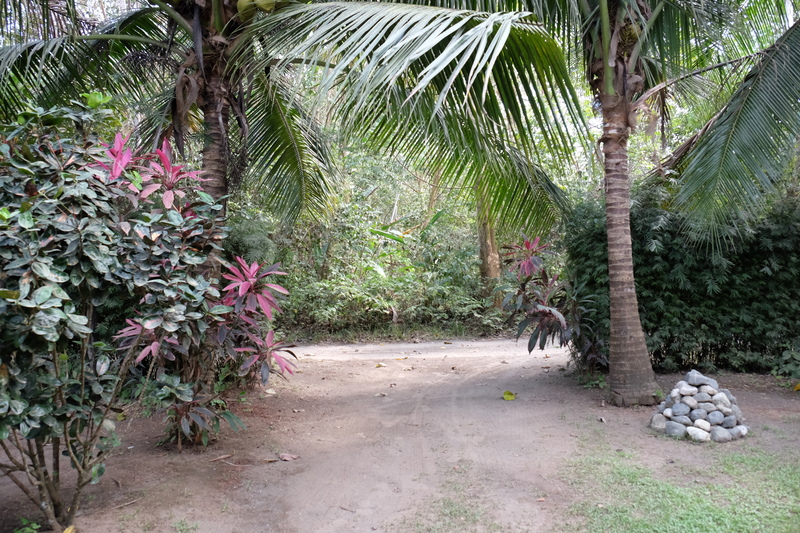 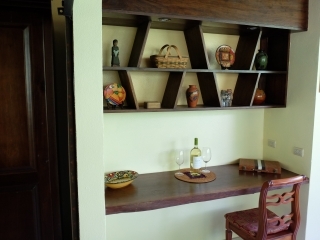 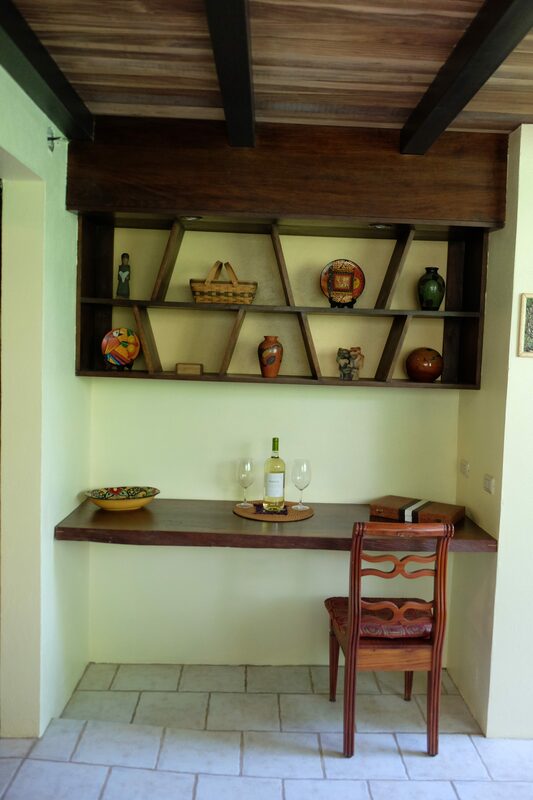 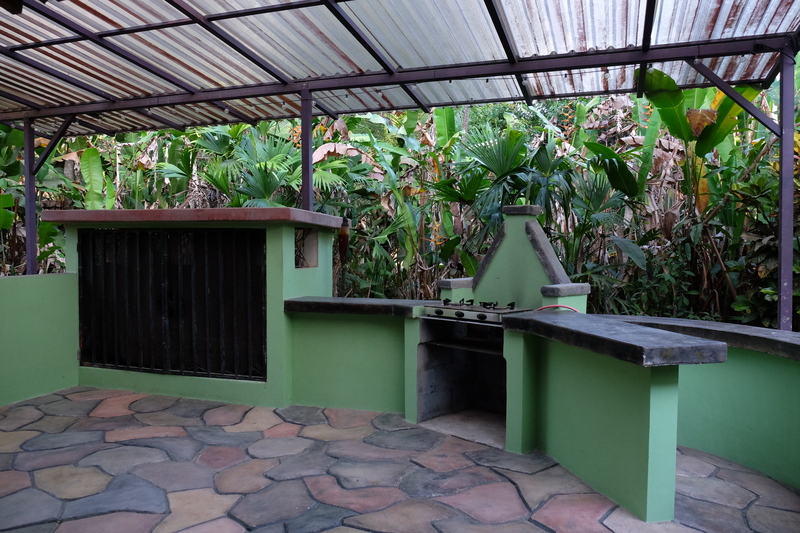 The property is lavishly landscaped with a variety of tropical vegetation and fruit trees which include mango, banana, orange, lemon, cacao, avocado, almond, maraschinos, and many more. 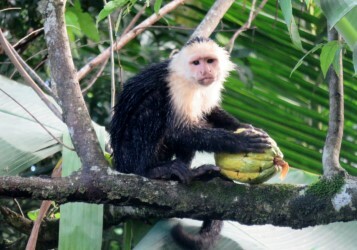 These fruit trees draw the tropical wildlife to the property on a daily basis. 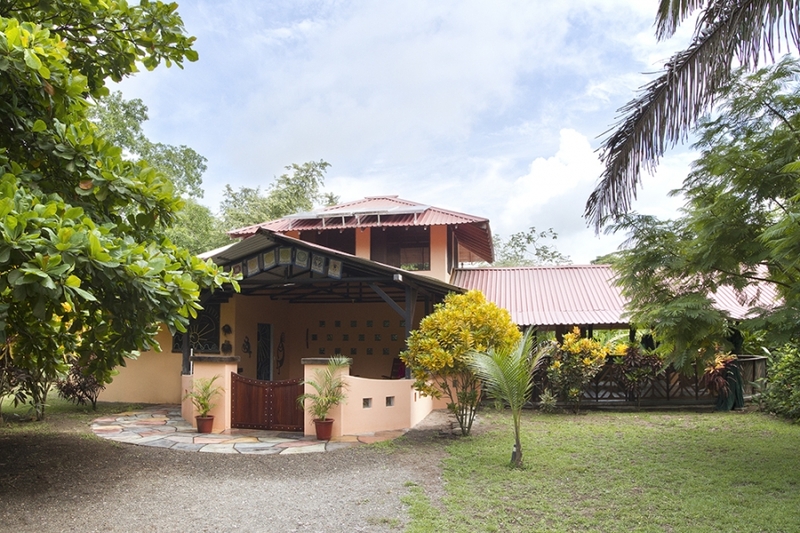 The main house is a two-story structure with the master bedroom, half bath and meditation room upstairs. 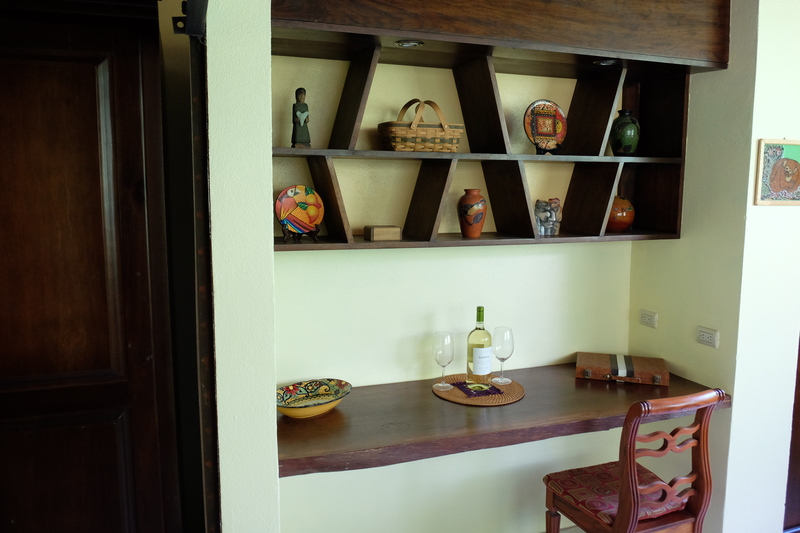 The downstairs living area includes a kitchen, living room, full bathroom, and a laundry/storage room. 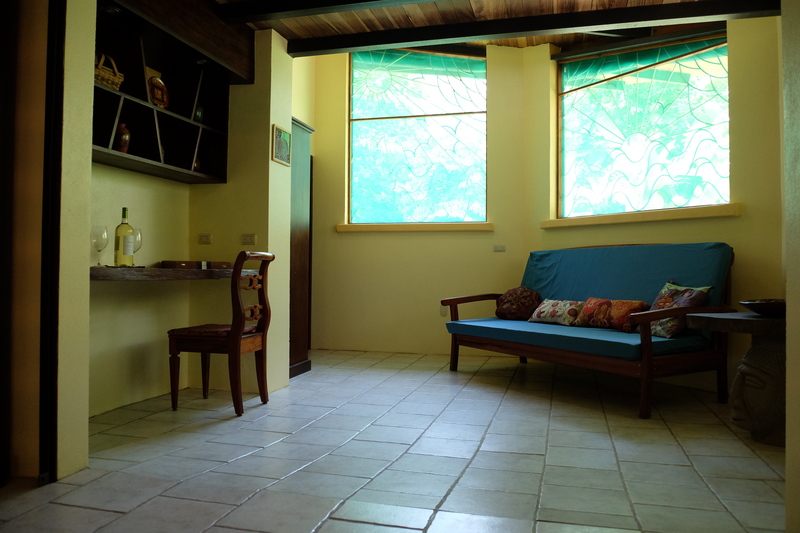 The living room includes a futon which comfortably sleeps two persons. 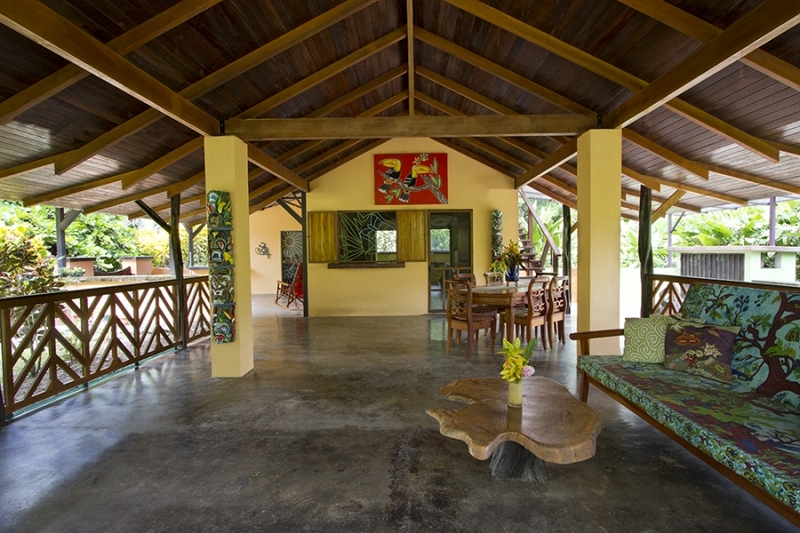 The main house includes three large covered porch areas. 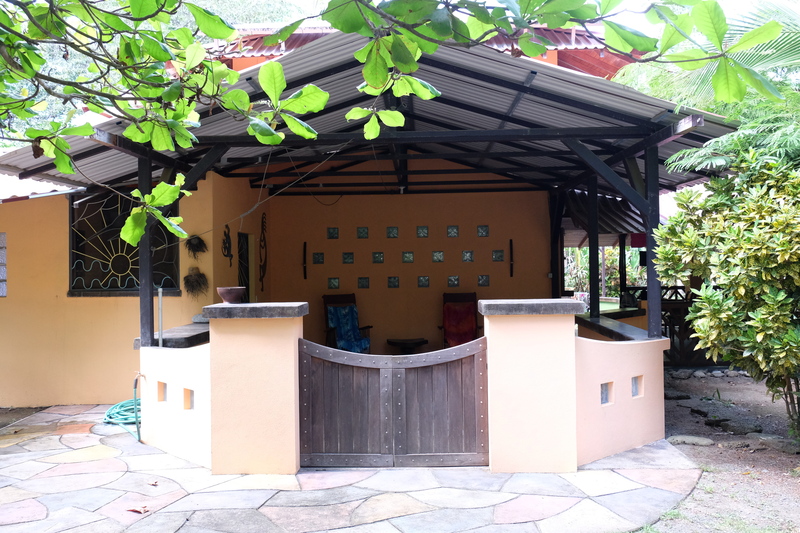 The covered areas include a large entry to the house, an outdoor kitchen area and a very spacious outdoor dining/living area. 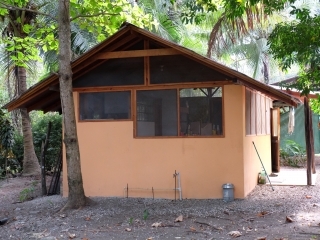 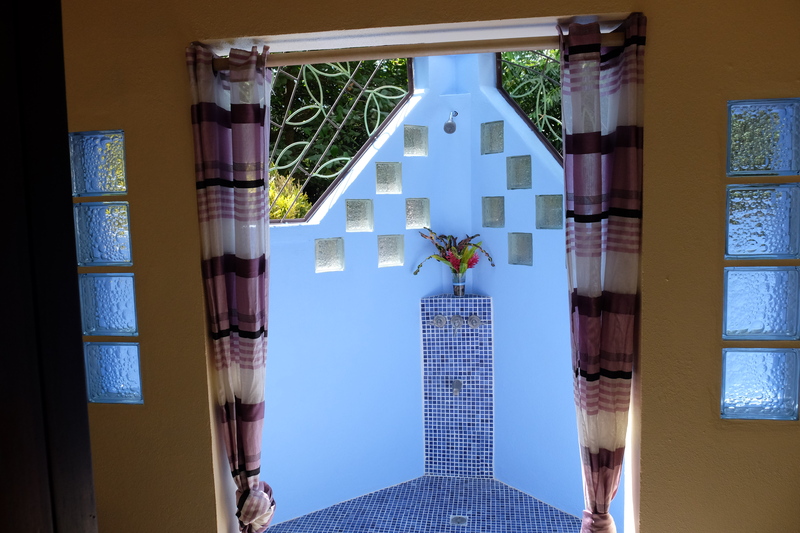 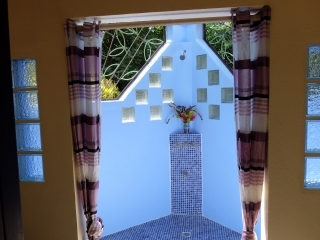 The property includes a recently constructed one-bedroom cabana which includes a kitchen and full bathroom. 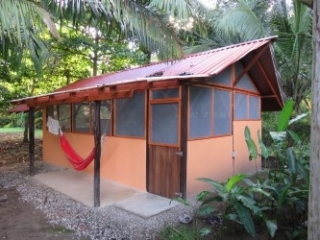 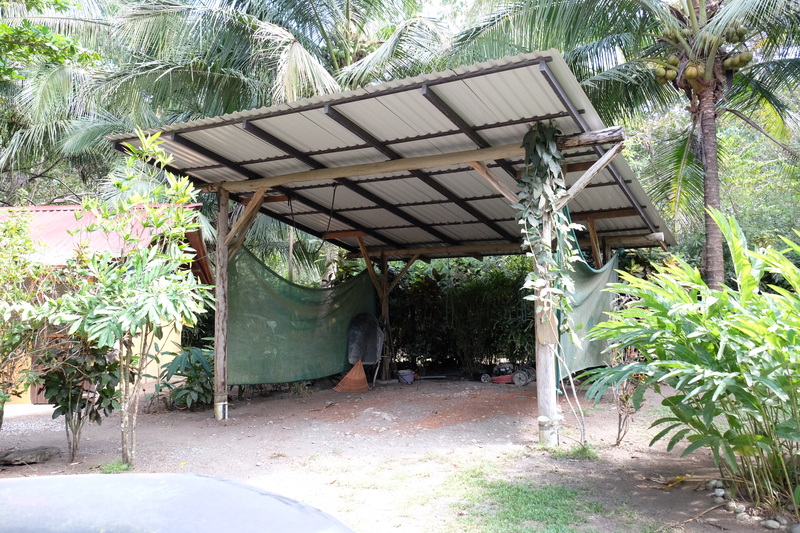 The cabana can be used as a guest house or can be used to obtain rental income. 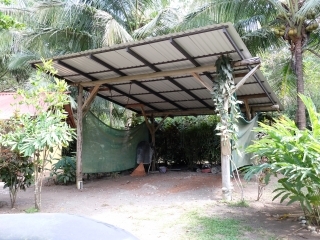 Also included on the property is a large carport which provides storage space for a automobile, recreational equipment and landscaping tools.